Palo Alto, Calif. –September, 2018– CloudSigma is excited to sponsor NASA incubator innovation program, Space Apps for the sixth year in a row! This year’s edition, Space Apps Challenge hackathon 2018 will take place October 19-21. Space Apps is an international hackathon that occurs over 48 hours in cities around the world. It is designed to pull together technologists, scientists, designers, artists, educators, entrepreneurs, developers and students worldwide with the aim to share ideas and engage with open data to address real-world problems, on Earth and in space. The hackathon embraces the collaborative nature of open-source software. Using open-source software allows participants to engage with publicly available data. This gives them the opportunity to produce innovative solutions for global challenges. 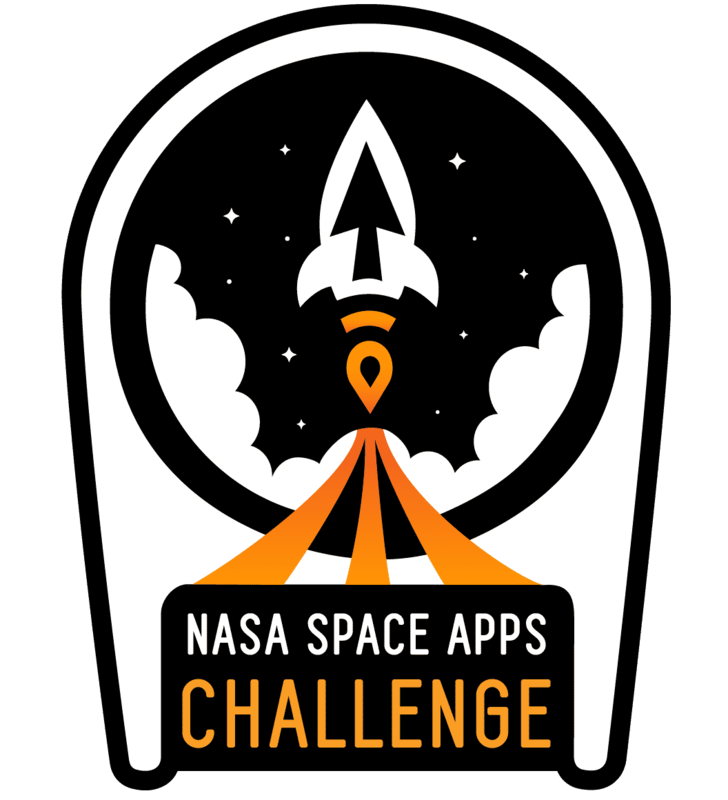 Since its inception in 2012, NASA’s International Space Apps Challenge has become the world’s largest collaborative technology development event for software, hardware, data visualization and mobile apps! Demonstrating an astonishing international growth, last year’s hackathon included 187 events. It gave the opportunity to over 25,000 participants across six continents to produce more than 2000 solutions. The hackathon tackled various challenges. Those included designing tools to better understand landslide data and calculating the exposure for a polar flight. This year, the challenge statements participants will attempt to solve are also very diverse. Some of them entail analyzing NASA data to help monitor surprise events on Earth, using NASA data to better understand Earth’s cryosphere, and uncovering new ways to explore space. 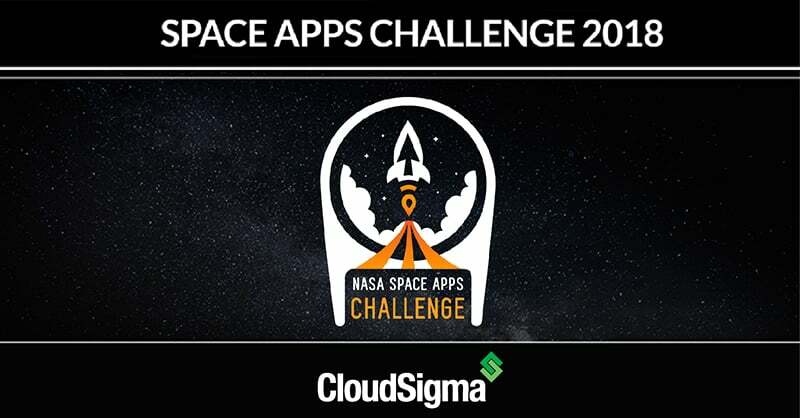 For the sixth year in a row, CloudSigma is offering support to Space Apps Challenge local events with free compute resources for the participants to use while developing their groundbreaking innovations. This year challenge groups will receive free access to CloudSigma’s public cloud servers. This includes 2 GHz CPU, 2 GB RAM, 50 GB SSD, 1 static IP, and 25 GB traffic. They will also get access to our 24/7 technical support. In addition to free compute resources, CloudSigma has supported the event with design and marketing services. We have created an event logo and gifted participants with Space Apps T-shirts. CloudSigma’s completely open software layer is especially conducive to this challenge as it lets competitors configure and deploy whatever they need. We are providing a truly flexible cloud platform for the participants’ research, data, and inventions. What’s more, CloudSigma’s ability to scale on demand is ideal for high-performing workloads. This makes our platform a perfect fit for those in the research science industry. It’s with this flexibility and full scalability that one of the local winners from the 2013 challenge, Space Cal App, was able to develop an app that combines satellite information to make information more easily accessible on mobile platforms. CloudSigma is happy to be a part of the opportunity to help build solutions to global challenges for six years! We are looking forward to seeing the innovation that comes out of this year’s competition. Our hope is that, with CloudSigma’s public cloud platform as a backbone, this year’s winners will address today’s top challenges on Earth and in space. NASA experts will then review these nominations to select the top 30 projects. NASA experts will choose the global winners based on information from their project pages. For more information on this project and how you can get involved, visit: https://2018.spaceappschallenge.org/.